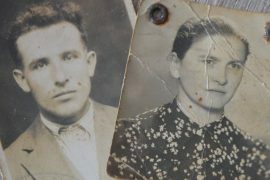 The Story about Dominik and Jozefa Melicher, who saved the Treitlel and Horn families in a village called Selec near Trencin. Jozefa was from Lednicke Rovni. As the youngest of 11 children, she soon became an orphan, and her grown up brother who lived and worked as an army officer in Trencin, took her in and looked after her until she had grown up. Dominik was from the village of Selec. He had a sister called Magda who was working in an army base near Trencin, and she knew Jozefa. 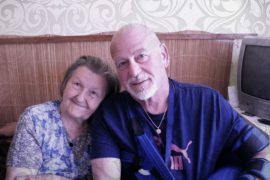 Dominik got to know Jozefa when he was visiting his sister Magda in Trencin. Dominik and Jozefa got married in the church in Trencin under the castle. After they had lived in Trencin for a long time, they moved to Selec, where they lived in Domink’s family home. He inherited it as his father had died at the age of 24, in the first world war. His mother had remarried and moved two houses further down the street. 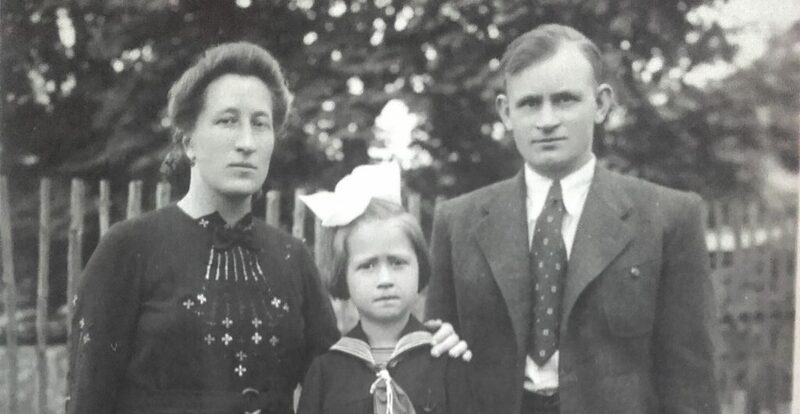 Dominik and Jozefa had to wait nine years until their first child Olga, was born. Their second child was called Eva. 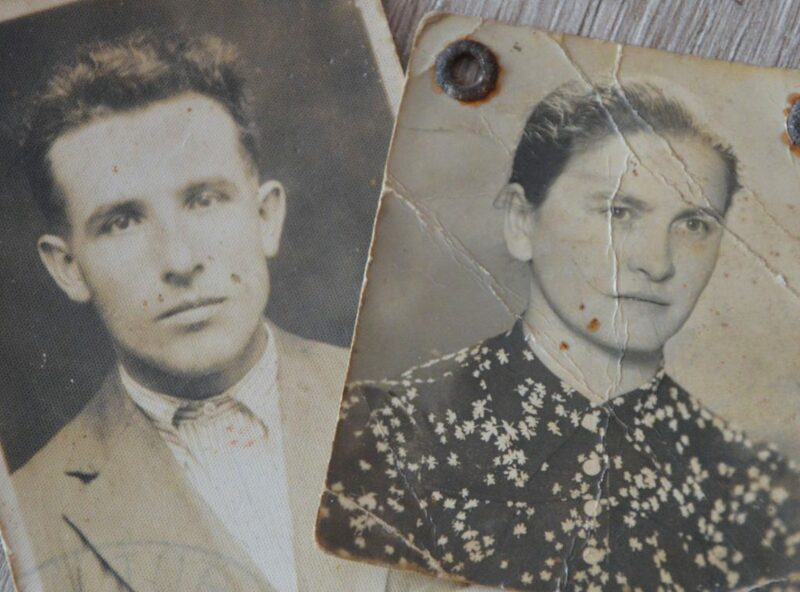 “We had land and a mill where we used to go and grind the wheat,” remembers Mrs Eva Sisovska about her parents. “We made the dough at home and then took it to the baker, who would then bake it.” The Melicher family kept geese, chickens and cows. In the morning, a shepherd from the village would walk past and take the cow to the field. Eva can still remember how he used to use his whip. In the evening he would bring the cow home. The family was self-sufficient, they had milk, cheese, butter and eggs. Jozefa didn’t have a job but her husband Dominik worked in a munition’s factory, in Dubnica, during the war. This meant he didn’t have to go and fight in the war. 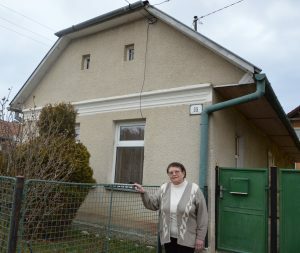 Eva Sisovska in front of the house where the Treitel and Horn families were saved. “This is a partisan village,” explained Eva. “The Germans came and all of the people had to go in front of the church, including women and children. I was carried there as a little child and my sister was carried on my Grandma’s back,” remembers Eva. “They took the men to Beckov.” Apparently, they were tortured, but at the end, some of them were released. 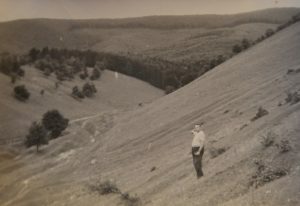 “My father came home from Beckov on foot, with a pastor who was in that area at the time, but many of them didn’t return.” From information I have found on the internet, I have learnt that locals from Selec were helping partisans with food, medicine, medical supplies and they were hiding the injured. The Nazis repaid the locals for the partisan activity in that area. They captured 273 men, 67 of them were transported to a concentration camp and 43 locals never returned home. “There were so many widows here that when I went to school, hardly any of my friends had a father, “remembers Eva. Dominik Melicher is showing in what direction the stable was where he found two families. Jozefa said that in no way should the children stay in the woods. Therefore, both of them went home and tidied up the attic where they quickly made a hiding place from planks of wood and in the same evening Dominik brought both families to his house. From that time onwards, Dominik and Jozefa not only looked after their two little children but also another seven people: Nandor and Eva Treitel with children Rudolf and Tomas. The second family was Mr Jan Horn, his wife Etela and their son Janko. Dominik’s sister Kata, helped with preparing the food. Very often, she would cook the food and bring it to them. They didn’t stay in the attic all of the time, just when the German soldiers were carrying out their searches. In the evening, they would come down from the attic so that they could warm up in the house and the men would shave. After a while, Jozefa started saying in the village that her sister with her husband and sister in law are coming to stay because they are in a bad situation. “And slowly one would come down, then the second would come down, as nobody from the village, knew mum’s family,” said Eva. “The one and only thing that I know for sure, is that they were extremely scared of planes. They must have experienced bombing somewhere. They were terribly scared! and just as there was boiling water getting ready for washing and poured into wooden baths, one of those boys pushed my sister and she fell into the boiling water and burned her hand. Apparently, they blew cold air onto her hand with a bicycle pump and she cried, and cried, it was hurting her,” remembers Eva. The Treitel family were very apologetic but the Melicher family knew that the boy had been scared and that is why it happened. Fascists would come and carry out raids. The Melichers knew a little bit of German so one of the German Officers would come to visit them for coffee, and talk to them about his family. He had children too. Once when he was there, German soldiers came to do a raid and they went into the attic and searched the hay, he shouted at them to stop and leave it. Although he wasn’t their commander, the soldiers jumped down very quickly and didn’t even use the ladder. He protected the Melicher family. We will never find out if he knew there were Jewish families hiding there and if that’s why he was protecting them. 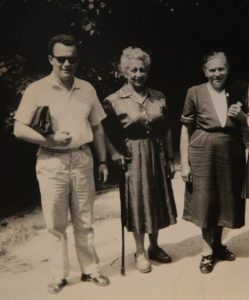 In 1977, almost thirty years after the war, Janko Horn came for medical treatment to Trencianske Teplice and also visited the Melicher family. 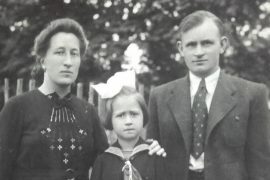 At that time Eva was already married and had a little daughter, but she wasn’t at home. Eva’s husband remembers that visit. Janko Horn was walking in the house and looking at the wooden planks. He asked for a cigarette, even though he didn’t smoke. He walked around and looked for the little crack through which he had watched the German soldiers during the raids. “He remembered how scared he had been from his experiences there,” said Eva’s husband to her. 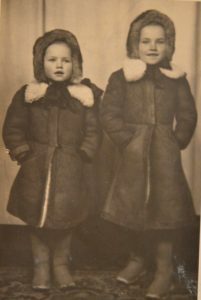 In 1945, Eva was only two years old and her sister Olga remembers very little about the war. “They used to push us into the corner when they heard gunshots. They would sit us in the sink in the kitchen which was away from the door and window. 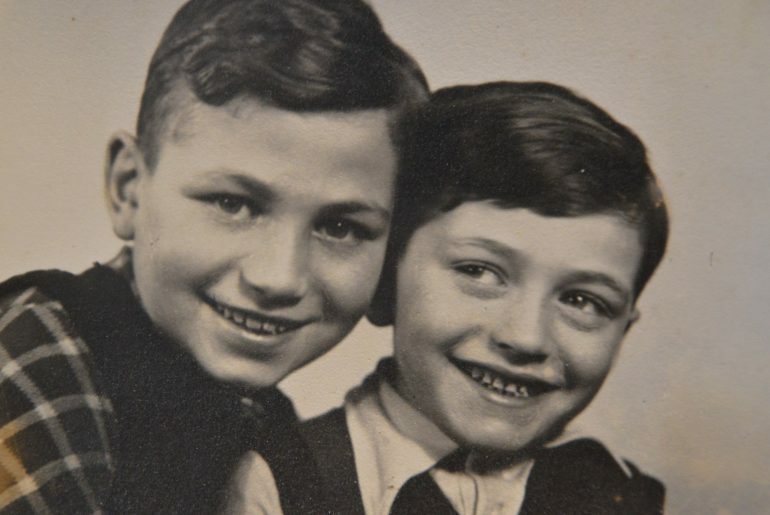 And also, she still remembers that she used to hide her parent’s shoes which were by the stairs to the attic, so the German soldiers wouldn’t steal them,” says Eva, recounting her sister’s memories. When the Treitel family was leaving, Mr Treitel swapped watches with Mr Melicher. Mr Melicher had a very simple watch but was given a very expensive one, “Omega.” Mr Treitel told him that he would wear his simple and plain watch until his death. 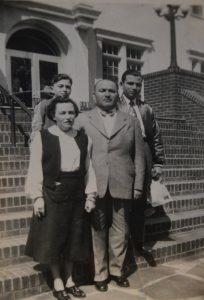 The Treitel family moved to Switzerland and then later, to America. 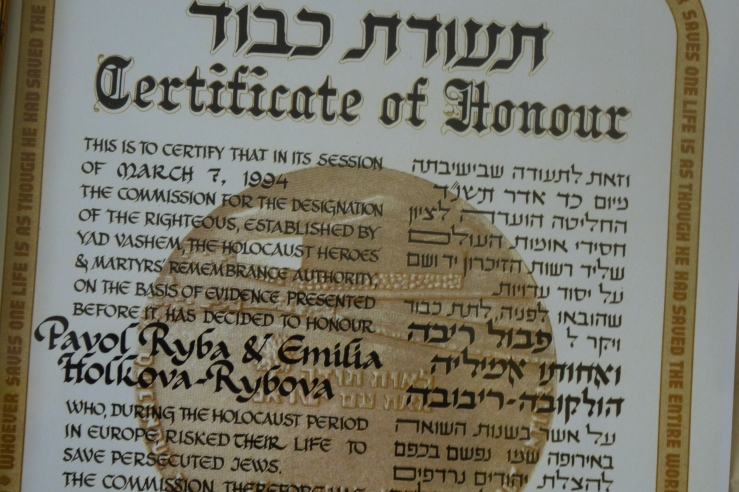 Every year the Melicher famiy received a parcel from America. “When it came two weeks before Christmas, we would not open it,” remembers Eva. “You see, who would have such a fur coat in Selec ?” she is pointing at a photo of her mother. “It would be opened on Christmas eve.” The Treitel family were sending parcels until the Melicher family wrote to tell them that they couldn’t afford to pay the import tax on them. 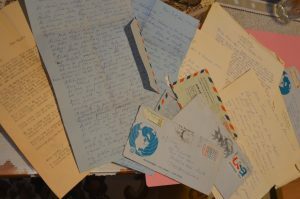 From that time on they received an envelope containing a few dollars. 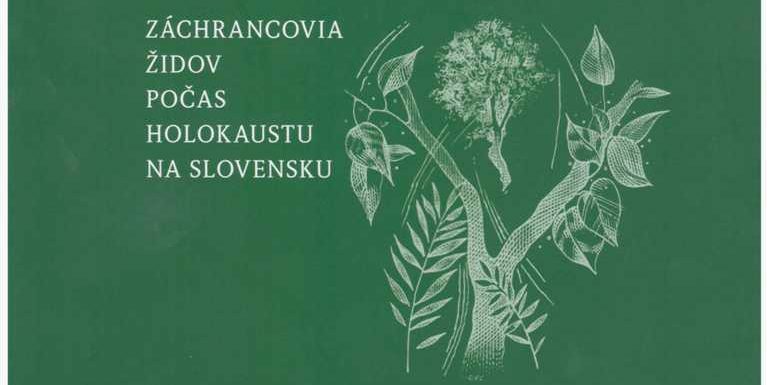 The Horn family lived in Sihot in Trencin. 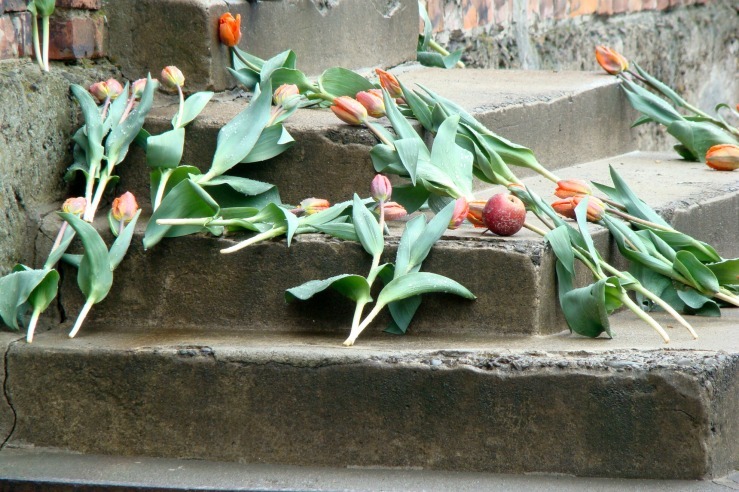 Eva remembered that she used to visit them with her mother, after the war. They had something like a meat factory. 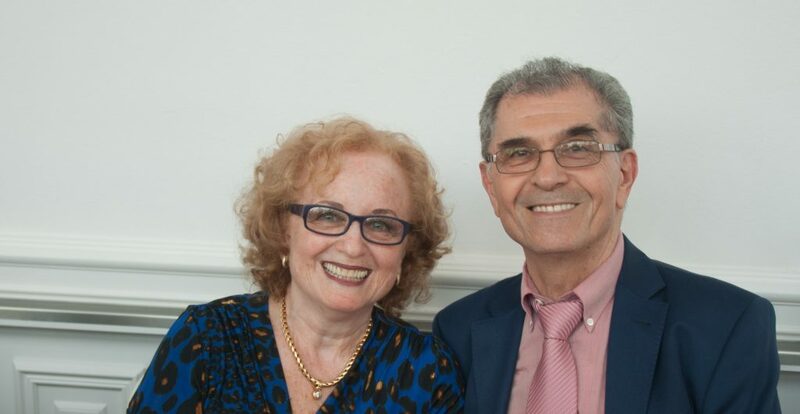 Their daughter, who hadn’t been with the Melicher family during the war, lived in Prague and the Melicher family used to go for a holiday there. Each Christmas they also received a parcel from Prague. Linen for dresses and suits. Olga and Eva, even received wedding gifts when they got married. We could easily finish the story here, with the memories of Eva, who had so much respect for her parents and what they did during the war. She acknowledges her parents’ actions as correct ones. In March 2018, she told me that she doesn’t have contact with the Treitel and Horn families anymore. Janko probably doesn’t live anymore as during the war he was already 16 years old and the Treitel family have gone quiet . . . But it was bugging me . . . 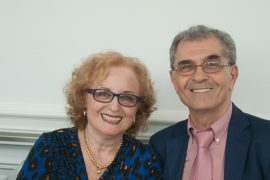 When I came back from meeting Eva Sisovska, I started looking on the internet for the Treitel family and I found them. I wrote an email to them, and in a few minutes, I had a response from Rudolph. Rudolph and Tomas, who call themselves Ruddy and Ted, still live in New York. 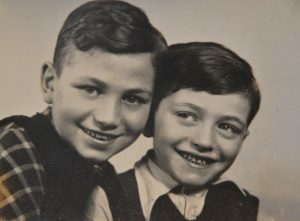 I found out that Ruddy was born in Vienna in 1938 and his brother Tomas in October 1933. Their father Nandor was from Presov, and their mum Eva was from Poland. The father and grandfather had a business with fur products. 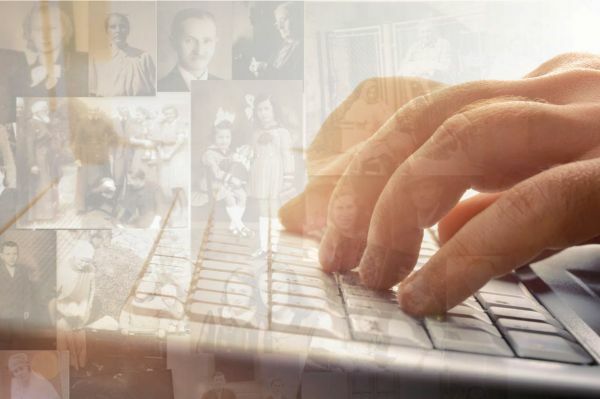 The family lived in Austria with their children and in 1938 they had to flee from there to Slovakia. After the war they went to France and Switzerland where they were waiting for visas to get to America. They received them in 1949. Ruddy Treitel further wrote, that Mr Melicher sometimes hid them in the attic and sometimes in the hay. Sometimes his older brother and father hid in the woods with the partisans, while he and his mother were hidden in different parts of the house. 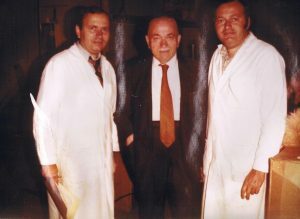 The story about the rescue of Dr Vojtech Spanyol, who was helped during the second world war by Robert Kucharik and Jaroslav Loula. The story of Štefan and Mária Durec, who saved Ladislav Klein. Why did I decide to process and public stories from war on the internet. About meeting one humble and precious woman. 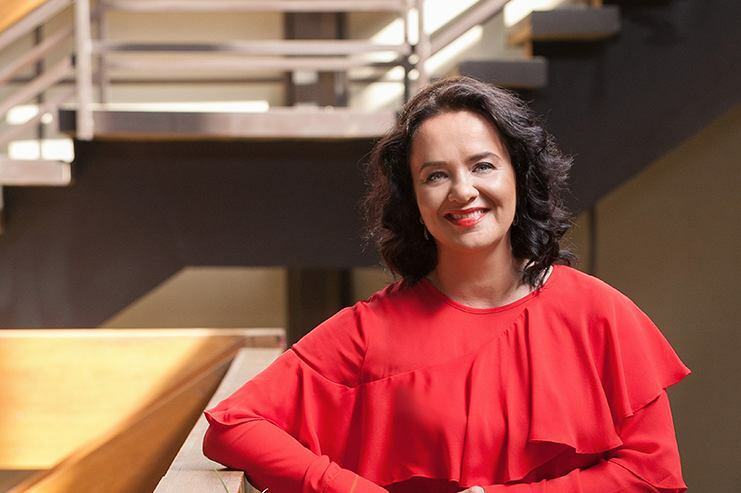 My name is Dagmar Mozolová and I have been working on stories of brave Slovaks who saved lives of many Jews since 2013. PHOTO: Jana Liška. STYLING: BYG studio.